PIXI + Caroline Hirons Double Cleanse - Double The Hits or Another Youtuber Gimmick ? 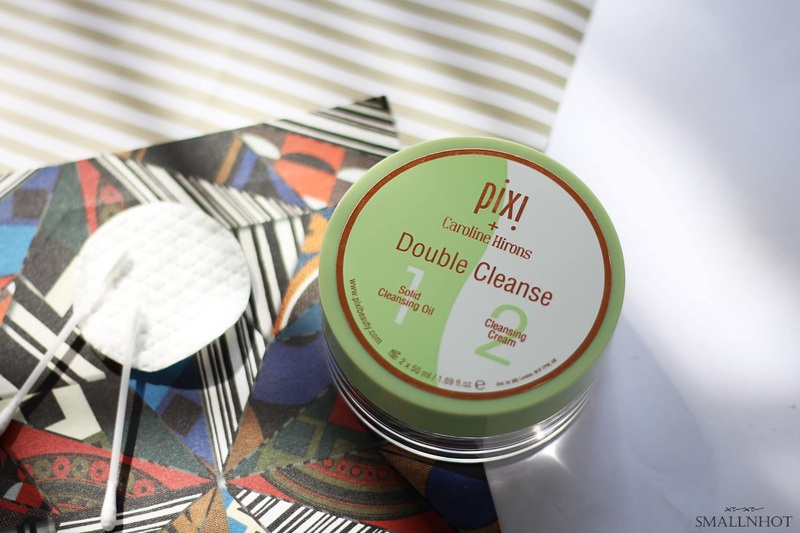 When it comes to skincare and makeup, the term "Double Cleansing" is also made familiar to us, whether you like it or not, double cleansing is probably the only step you should never miss when it comes to skincare - And PIXI has collaborated with Caroline Hiron, UK Youtube beauty guru for a new product called PIXI Double Cleanse which claims to make things easier to get the job done. So the question is, does this double cleanser work ? Or just another Youtuber gimmick ? Unique 2-in-1 cleanser where one side contains a solid cleansing oil and the other side a luxe cleansing cream for the ultimate PM cleansing. 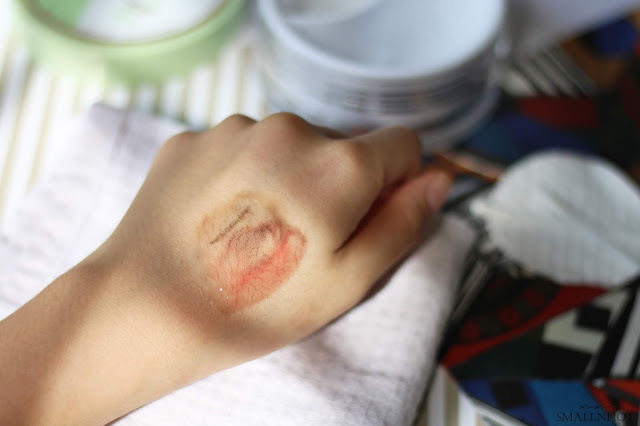 You'll LIKE as it melts off every single bit of makeup in a single wash.
You'll HATE the rather odd oily scent from the solid cleansing oil and might get slightly irritating on the eyes area. If you were to ask me how often do I use this, it would be every single day, rain or shine. 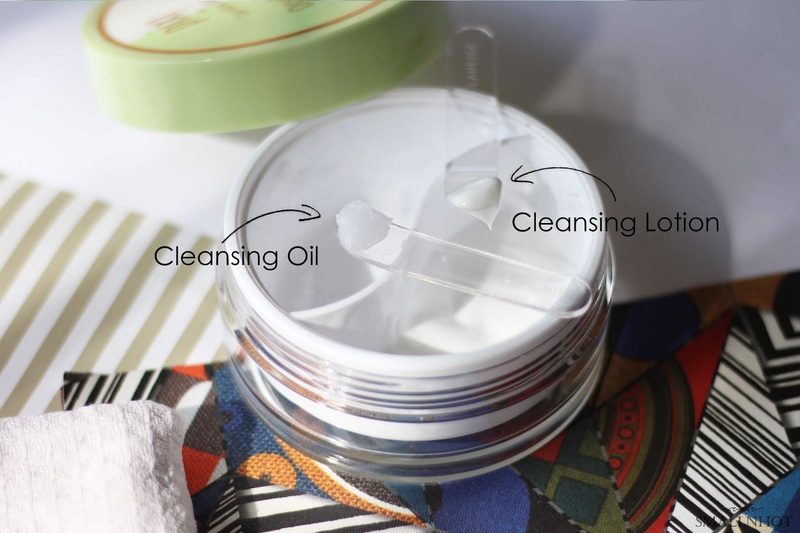 I do like how Caroline Hirons combined two cleansing steps into one single product, making it incredibly easy to carry around and repurchase. Love the cleansing oil but with its firm texture, I do personally think that the cleansing oil feels more like a balm instead. But anyways, formula wise it works great in removing all my makeup whether it's my waterproof mascara or eyeliner, it has no problem at all. It's just sometimes, you might need to really get into the nooks of your eyes in order to remove your eye makeup completely and when you accidentally get the products into your eyes, it can get slightly irritating. Good in removing eye makeup but maybe not the best choice if you have sensitive eyes. As for the lotion, it felt literally like slathering creamy lotion on the face, which is rather odd but no worries, nothing harsh or irritating on the skin, just the odd feeling of slathering thick lotion on your face. trust me you'll get use to it as it goes. So as you wash the lotion off, it will leave you with a soft and clean feeling, all ready for my moisturizer. Out of all the skincare items that I have, this is definitely the one that I will be repurchasing to double cleanser for everyday use, but maybe not for heavy eye makeup. Overall ERH Chamomile Makeup Remover Lotion is still my favourite makeup remover.